OJ Simpson's parole hearing is on now! O.J. 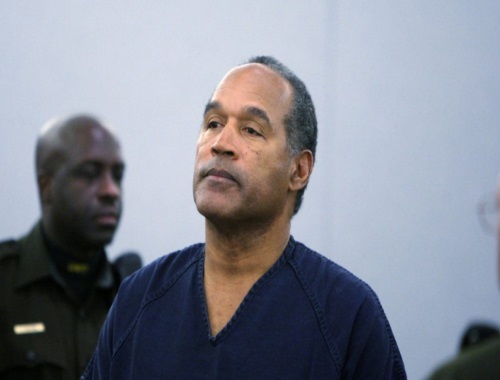 Simpson may learn whether the Nevada Board of Parole Commissioners will decide to free him in the fall or whether he will continue to serve a nine-to-33-year sentence for 12 convictions, including kidnapping and armed robbery, stemming from a 2007 sting operation in which he tried to recover sports memorabilia from two collectors. Simpson is appearing (via video-conference from prison) in front of four parole board commissioners. He'll speak for 30 to 45 minutes. Then, the board members will leave to deliberate. If the four parole board members do not unanimously agree, they'll call two other commissioners to vote. Click here to watch the parole hearing live.